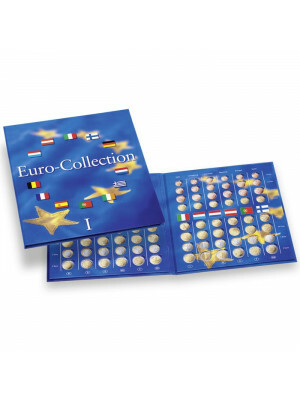 The album can contain up to 9 pages VISTA for a total of 180 coins of 2 Euro. 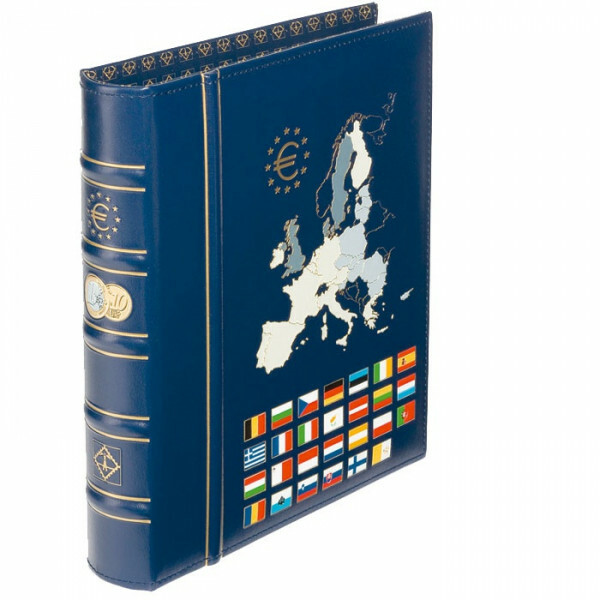 Premium leatherette cover with striking spine and cover imprint. Folder of sturdy plastic with elegant silk screen, supplied with cardboard case. 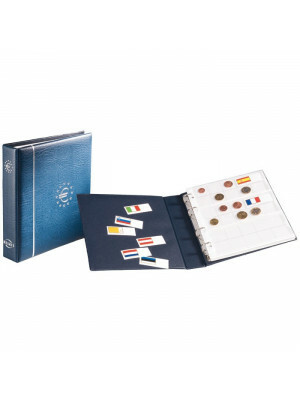 Compatible with pages with both VISTA coin sheets made from strong card inc. durable rigid PVC sliding inserts and OPTIMA sheets (sheets are not included in the package). Dimensions: 245 x 270 mm.